Tiger Woods won his fifth Masters title on April 14. The victory is Woods’ first major win in more than a decade. The golfer has earned over a billion dollars — plenty of which he’s spent on extravagant purchases. 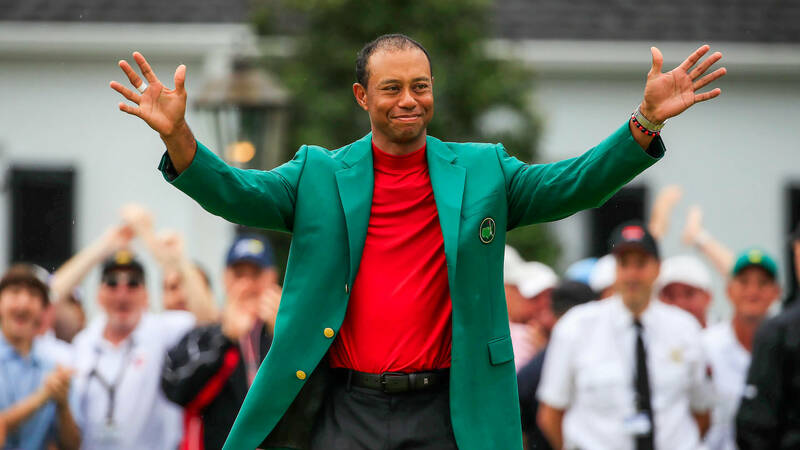 Tiger Woods won his fifth Masters title on April 14, marking his 15th major championship victory overall and his first major victory in over a decade. Woods’ career, though full of victories, has been hampered by a public divorce, an arrest and back injuries in recent years, but the golfer seems poised to make a strong return with his Masters victory. Within the last two years he’s positioned himself in three top-five finishes and five top-12 finishes. He was listed at No. 6 on the Official World Golf Ranking as of April 15. Here’s an overview of Tiger Woods’ net worth. Tiger Woods is worth an estimated $800 million, according to Celebrity Net Worth. The golfer has made more than $1 billion dollars since turning pro in 1996 at the age of 20. Woods’ on-course winnings alone have earned him over $110 million, and the PGA Tour website ranks him as a career money leader. His other earnings come from endorsements from companies such as Nike, which even stuck with Woods after a DUI arrest in 2017. He’s earned $42 million in various endorsement deals, according to Forbes. Golf might require poise and patience, but Woods’ spending habits offer a glimpse into how he cuts loose. His major purchases include a $20 million yacht called “Privacy” equipped with a bar, Jacuzzi and gym, a mansion with a golf course as a backyard in Jupiter Island, Fla., and a private jet worth over $50 million. Woods’ earnings landed him a spot on Forbes’ list of highest-paid athletes of 2016 at number 12. Tiger’s endorsement with Nike is roughly $22.5 million, according to Apex Marketing, so Woods can probably expect a profitable 2019. Woods’ earnings don’t go completely to him. He has a charity foundation, the TGR Foundation, which received $12 million from Woods in 2012, the PGA reported. Click to read more about how 18 of the world’s best athletes spend their fortunes.